Earlier today, YMCMB’s and We The Best founder DJ Khaled was interviewed with MTV News to discuss his upcoming 8th straight summer. 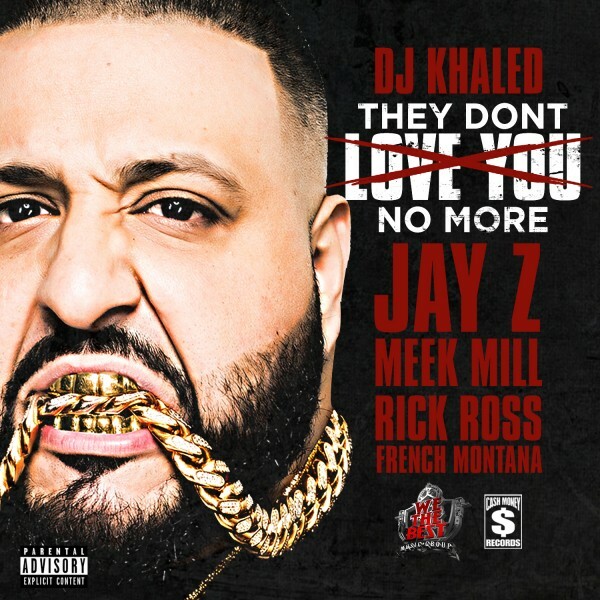 In the process of shooting his WWE-like backstage promo through Marcy Projects, Khaled shocked all revealing he had landed a verse from JAY Z on his first single; which we weren’t expecting for a while. With Mike Zombie behind-the-boards for the annual Khaled summer all-star affair, he enlists rhyme assistance from Meek Mill, Rick Ross and French Montana. In Jiggaman’s verse, many are already speculating he took a direct aim at Drake saying “Haters want to ball, let me tighten up my drawstring, wrong sport boy, you know you soft as a lacrosse team.” Let us know what you think of the track in the comments, which we’re expecting an imminent announcing for visuals to surface before his forthcoming eighth solo album, I Changed A Lot. Label: We the Best Music Group, a division of UMG Recordings, Inc. / Young Money Entertainment / Cash Money Records Inc.